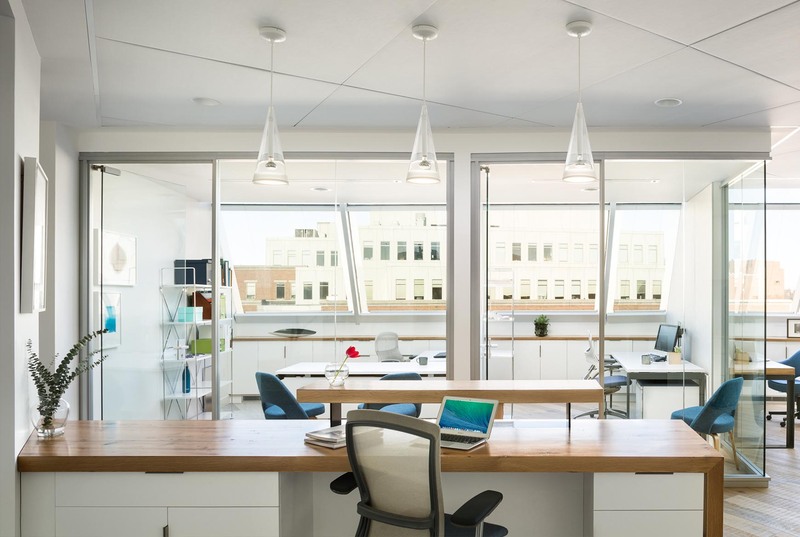 Cambridge, MA The fan-shaped floor plan and slanted windows in this office renovation in Harvard Square inspired our clean, contemporary, and warm design. 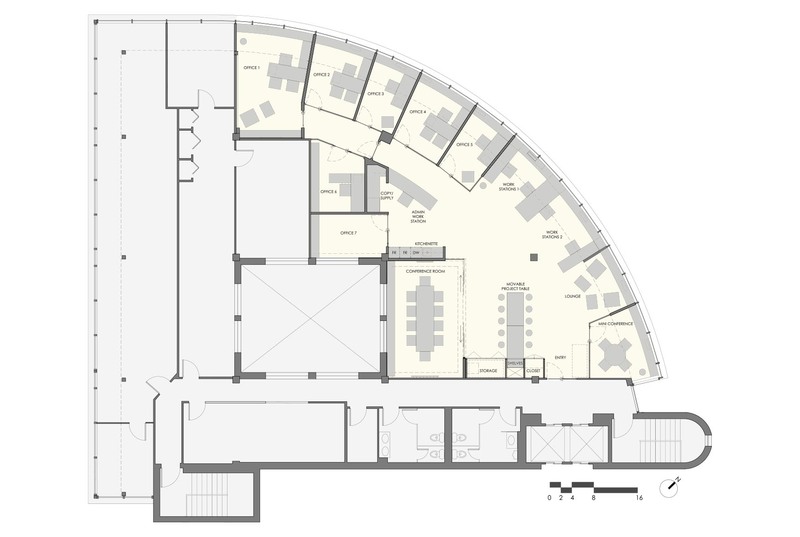 The client wanted plenty of room for collaboration and presentations. 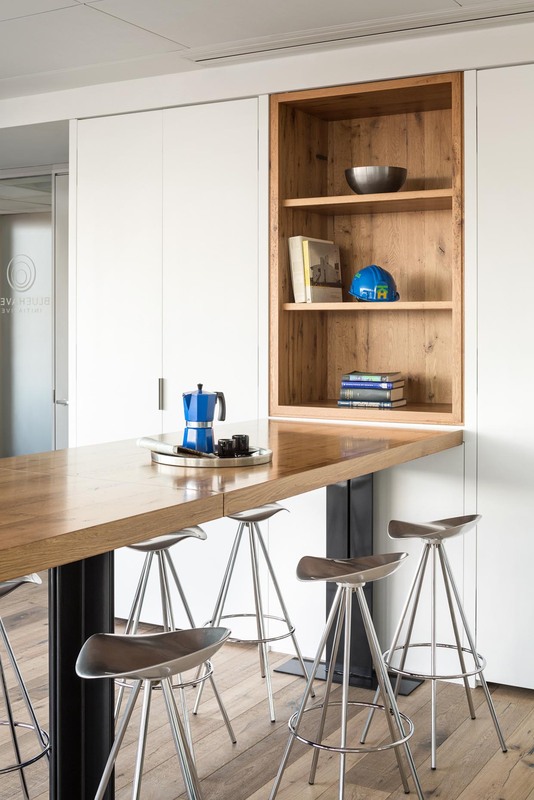 Custom millwork with residential details and significant pieces of custom furniture, including a sculptural reception desk, are made of reclaimed wood and steel. 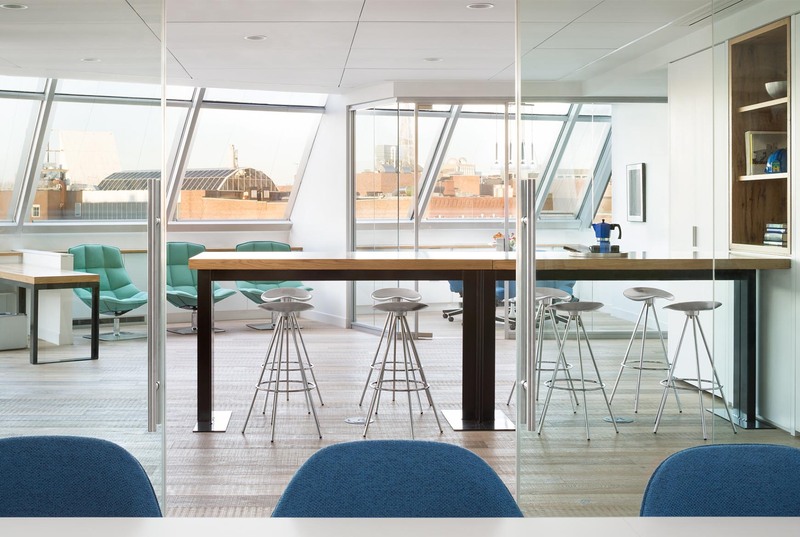 Glazed walls around a private office and a conference room ensure that all of the workspaces receive daylight. 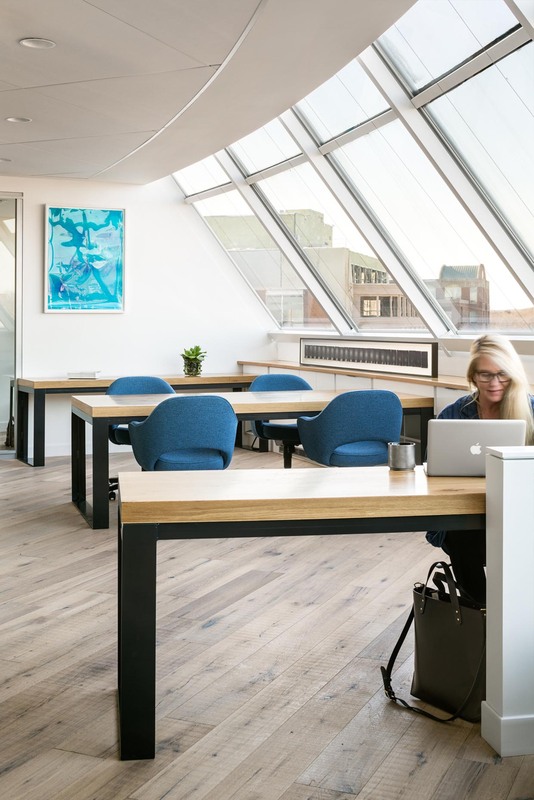 The fan-shaped floor plan and slanted windows in this office renovation in Harvard Square inspired our clean, contemporary, and warm design. 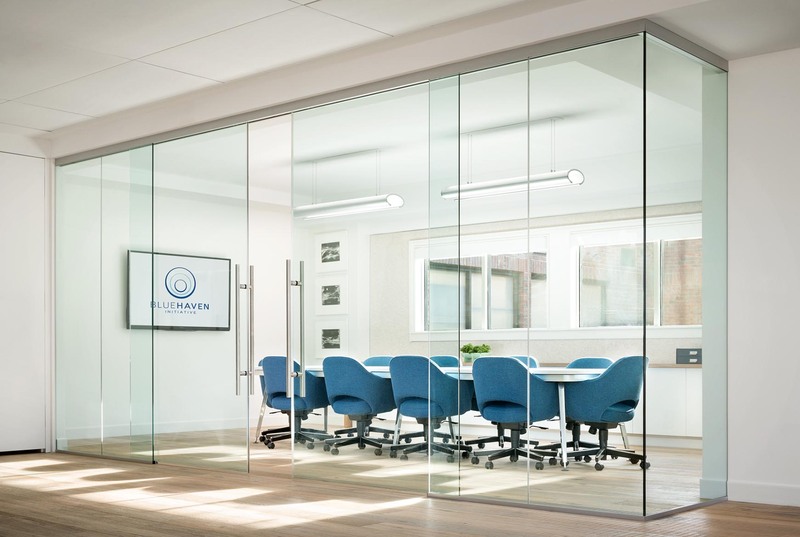 The client wanted plenty of room for collaboration and presentations. 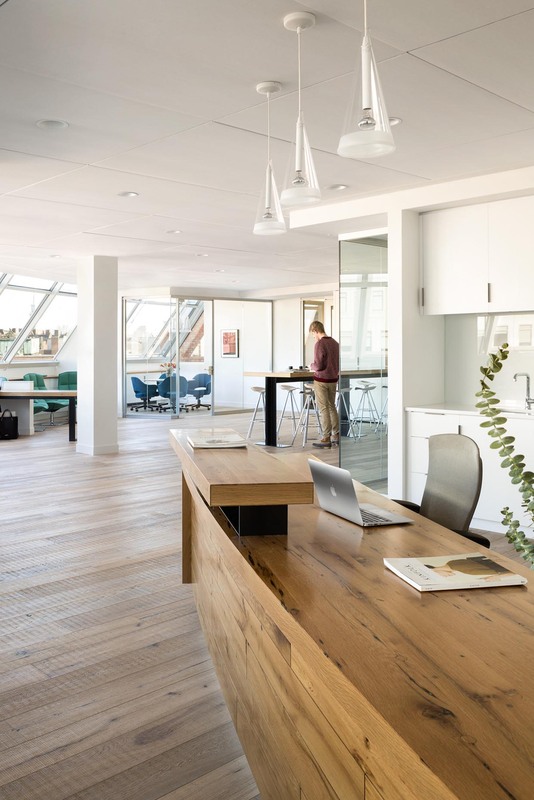 Custom millwork with residential details and significant pieces of custom furniture, including a sculptural reception desk, are made of reclaimed wood and steel. 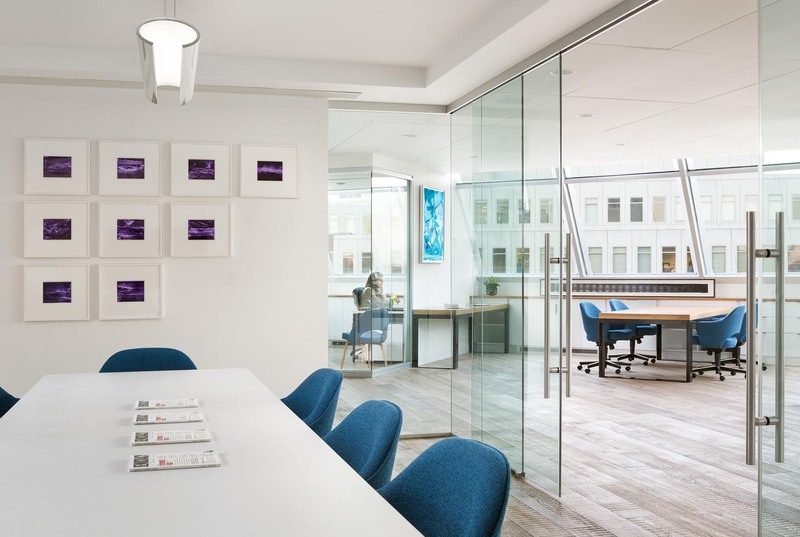 Glazed walls around a private office and a conference room ensure that all of the workspaces receive daylight.